How they built the relationship. How they closed the sale. How lucrative was the result. Since there is such a diverse selection of sales positions, one might think there would be a plethora of opportunities and resumes are just a formality. Not so. 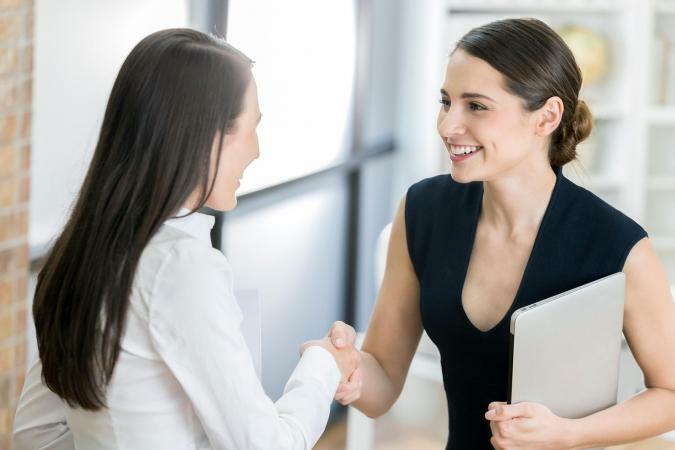 Employers still need the right fit and they're only going to know that if your sales resume emphasizes how your skills will accomplish their goals. You can sell the product or service: now focus on selling yourself. Start with a qualifications summary or professional profile. This is your wind-up. Muster all the courage as you do with cold calling and think, "If I only had three sentences to get my point across and convince them to call me, how would I do it?" Action-oriented details really matter. Yes, you've read all the Web sites and all the books and everyone says show qualitative details of accomplishments. It's not rhetoric - it's true. Strengthen your pitch with real numbers, tangible solutions and benefits to the company. Reflect on what you've achieved; how challenges were met; and what makes client relationships work and then highlight these results in your resume. Use the keywords found in the advertisement and the industry. Another standard tip, but one that works. Don't give up trade secrets. Structure your accomplishments in such a way that the strategies of your past employers remain protected. Any respectable prospective company will understand certain generalities and appreciate your ethics. It will also be important for sales managers/directors to not just say they led a team, but accentuate the results of that leadership. So if you assumed leadership for a sales force of 10 and in the first year, improved efficiency by 30 percent and sales by 55 percent through consultative research meetings, role-play and more specific strategies, say so. Our candidate below honed her sales skills in three different industries, but her accomplishments shine. 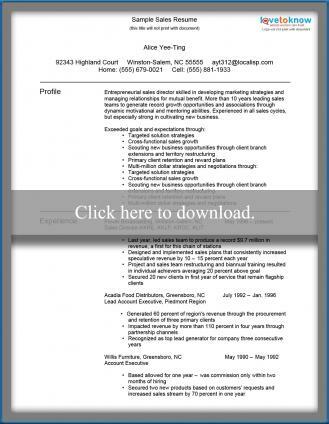 Download the sample sales resume. Cover letters are a great way to demonstrate how you do business: the research for client insight, anticipation of needs and approach to procurement. How you craft your cover letter will be another selling point for you. Need to brush up on those skills for both work and job-hunting? Try Proven Sales Letters, a Web site dedicated to helping you write better sales letters and cover letters. What Format and Layout Style Work Best? A combination resume is truly the best format for an experienced professional to use on a sales resume. It allows for an explanation of results while demonstrating a consistent track record of progress. Those still climbing the ladder will probably do just fine with a chronological resume, as they can show stability and continued acquisition of skills. Sales professionals know better than anyone how much time they have in front of a prospect - make the format and layout clean and easy-to-read so the best selling points hit home. Print off a few examples of a layout style that appeal to you and determine which type will present you and your accomplishments as attractively as possible. Some personality can come through in the style, but it's better to let the actions speak louder than the font of the words.